The botanical name of Ashwagandha powder is Withania somnifera and its common name is winter cherry. Ashwagandha supplement may include withanolides, iron, acetic acid, calcium, flavonoids, tannins, etc. It may also contain a high level of resins, vitamins, alkaloids, and other essential minerals. Additionally, Ashwagandha benefits may encompass anti-anxiety, antidepressant, anti-stress and immunity boosting properties to promote stress relief therapy naturally. It may also contain anti-inflammatory, therapeutic, sedative, stimulant properties for a healthy life. 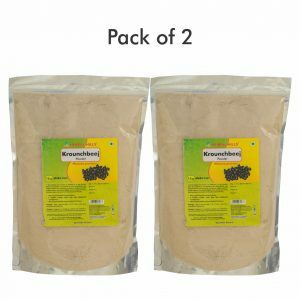 Moreover, with antioxidant and rejuvenating properties, ashwagandha powder may help to increase the strength, stamina and overall energy level. Additionally, this herbal supplement for stress may nourish the nervous system and help to improve the immune system. The energy booster dietary supplement may promote hormonal balance and help improve immunity. Thus, add this incredible dietary supplement in your daily regime to help relieve the unnecessary stress. Worried about where to buy ashwagandha powder online? Buy here, at Herbal Hills. Please consult your physician for accurate ashwagandha powder dosage. Herbal Hills produces Ashwagandha powder with highly advanced technology. 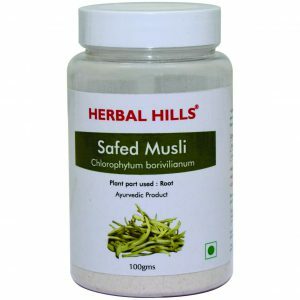 It is India’s largest online selling brand in pure herb powders. Our products are made out of best quality and authentic ayurvedic herbs available in India which are specially selected and manually graded to give the best product. The quality and efficacy in 100% guaranteed. Please look out for our wide range of other pure herb powders. Herbal Hills is one of the leading, most-trusted and eminent Ashwagandha manufacturer and also deals with authentic powders. This renowned ashwagandha powder manufacturer is engaging in preparing stress relief and energy booster supplements that is the need for today’s demanding lifestyle. Herbal Hills synergistically cultivate all the herbs in the most suitable environment to assure 100% purity, chemical-free natural, potency, and efficacy. Moreover, after the traditional cultivation, this ashwagandha supplement and other herbs undergo modern technologies to maintain international market standards. Additionally, to retain the highest safety and quality, Herbal Hills has ISO, GMP, and Halal certifications and desired licenses. Furthermore, these herbal dietary supplements are safe to consume, owing to the chemical free and harmful substances free nature. Moreover, Check out – our blogs for home remedies using herbal products.